I’m just popping in to share a cute little free mini kit with you today. It’s called So Into You from Lisa Rosa Designs. I loved the look and thought you might too. You can get it here. This is available through the My Memories store. If you haven’t purchased My Memories Suite software yet you can use this code STMMMS57865 to save $10 and you’ll get a coupon for $10 to use in the store. Just copy/paste the code at checkout. You do not have to purchase the software to get this free kit. It will work in other programs as well just download the “general” file instead of windows or mac. Hurry on over to pick up this freebie while it’s still free. This entry was posted in Deals, Freebie, My Memories Suite, MyMemories and tagged digital scrapbooking kit, free, freebie, mini kit on February 25, 2014 by Yobeth. Take Your Scrapping Skills to a Whole New Level with Art Journaling! I LOVE art journaling, it is so creative and looks amazing! It will take you scrapping skills to a whole new level. In case you’re not sure what I’m talking about I’ve included some examples below of some awesome art journaling techniques. I’ve been looking for a tutorial for quite a while and now I’m so happy to have found a class “The Art of Journaling”. As you can tell, from the examples above, this is not your everyday, run of the mill journaling. This is art in and of itself. So let me tell you more about the class. 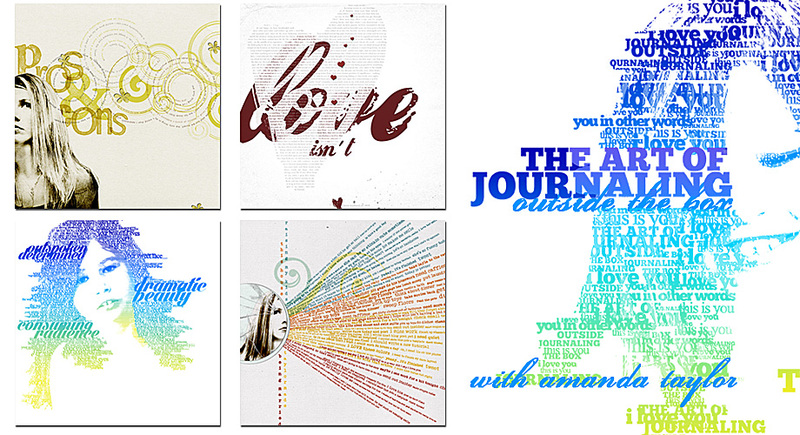 Click this link Art of Journaling by Amanda Taylor to register. This workshop starts March 3. It is actually three classes using Photoshop Elements 10+ or Photoshop CS4+. It is skill level beginner to intermediate so you don’t need to be an expert in the software but you do need to be familiar with the product. The workshop starts in 10 days so hurry on over and sign up. I think it will be a lot of fun and it will definitely be an asset to your scrapbooking layout designs. 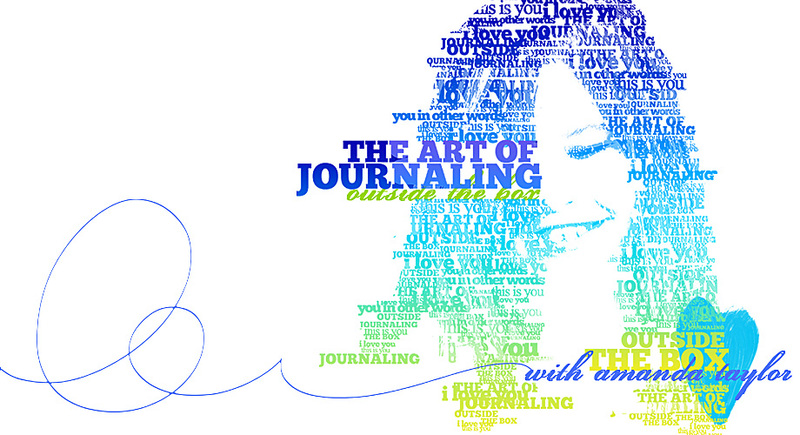 If you want to learn journaling as an art form click here. This entry was posted in Announcements, Design Principle, DigiScrappingTips, Techniques, Trends, Tutorial and tagged art journaling, art of journaling, photoshop elements class, workshop on February 21, 2014 by Yobeth. I recently read an article about 5 hot trends to look for in scrapbooking this year. Big companies always keep an eye on fashion and home decorating to see what to expect in other areas. So here are the 5 trends predicted for spring 2014. It should be easy to incorporate some of these trends and stay current with what’s hot without breaking the bank. This entry was posted in Trends and tagged scrapbooking, trends on February 17, 2014 by Yobeth. Romance is in the air so check out this free Valentine scrapbooking mini kit?. You can find this sweet little freebie here. And if you haven’t already purchased My Memories Suite scrapping software there’s no better time. Use my coupon code to receive your $10 discount & you’ll also get a $10 certificate to shop in the My Memories online store. Just copy & paste my code STMMMS57865 during checkout. Go ahead and pick up the software and freebie then wish yourself a happy Valentine’s day. You deserve it! This freebie is available from February 10th through February 23rd. This entry was posted in Deals, Freebie, Holiday, My Memories Suite, MyMemories and tagged deals, digital scrapbooking software, freebie, valentines day on February 10, 2014 by Yobeth. The last few months of my life have been very hectic but I’m back now and ready to go with some new layouts, tutorials, reviews and more. I made today’s layout with a free mini kit I got on our Digi Scrapping Freebies group on Facebook. The photo is of my precious grand babies. Big sister made a “tent” in the living room and her and baby brother were watching TV. She made the tent Friday evening for Family Movie Night but it’s always more fun to watch TV in a tent so it got to stay up all weekend. When I found this free digital scrapbooking kit by The Scrappy Penguin I thought it was perfect. You can find it on our Freebies Facebook group here. I used My Memories Suite scrapbooking software to make this layout. You can click the link on the right side of my page then enter my coupon code for $10 off plus get a $10 store coupon with the confirming email when your purchase is complete. This entry was posted in Deals, Family, Freebie, My Memories Suite on February 9, 2014 by Yobeth.